Nintendo Download for February 23, 2012. Dillon's Rolling Western highlights this week's digital downloads on Nintendo systems! Nintendo Download for December 19-25, 2013. Not much going on this week, outside of Dillon's Rolling Western. Where my Wario Land: Super Mario Land 3 on 3DS Virtual Console?!? My thoughts exactly. 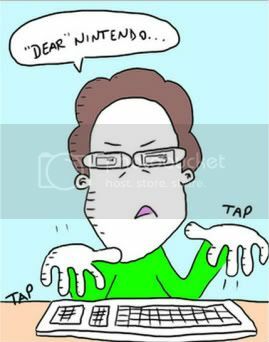 I'll download the nintendogs demo, but otherwise, a whole lot of meh. I bought Dillon's Rolling Western last night, so far so good. I'm hesitant to pull the trigger to Dillon's Rolling Western. The price is steep (a dollar more than Mutant Mudds, a game which I thought was just okay) and it's a genre I'm not a huge fan of. I would have liked a demo. I would have loved a demo as well, and yeah the price is steep. But I hear it's got a lot of content, up to 20 hours even. And I just finished with Go! Go! Kokopolo, which took me 16 hours to complete (not even 100%), and I am loving these longer, meatier downloadable games (Pushmo is another great example). I'm hoping Dillon's Rolling Western is similarly enjoyable. I'd like a demo for Dillon too. 3DSware is a little hard to take a plunge on sometimes! I'm also echoing the sentiment that wants more VC games. What the heck, NOA!? Give us some WarioLand and Kirby 2 already! I didn't know Go! Go! Kokopolo was so long. It seems like a fun game. That Gnomz trailer looked kind of fun. Haha, their trick worked on me. As I watched the Nintendo Direct video, I went "WHAT? AVAILABLE NOW?!?!" and I downloaded DRW. I probably wouldn't have otherwise. It's a pretty good game though. Lots of meat to it, considering it's basically a tower defence game. My poor wrist though. Need for 3DS points rising. I finally watched that Gnomz trailer... totally not what I was expecting. Looks BIT.TRIP RUNNER-esque, and Daan Coopman (Nintendaan) on twitter said it's pretty good... hmm. It's a big change from the Smash Bros.-esque platformer that they released before. There's a demo. Kind of stupidly fun. Really stupidly fun.